1. Should I rent an instrument or buy one? Answer: It is usually best to rent an instrument for a trial period, than to buy one and find that the student loses interest, and you are stuck with an instrument that is not being used. Simply return the instrument before your next payment is due. Choose the purchase option, and buy the instrument outright. Only choose this option if you know that the student will continue using it. Continue renting until all payments are made. (Each instrument has a different number of months of payments until it is owned. 2. I know nothing about musical instruments. My child needs one for the school band program. How do I obtain an instrument? Answer: A rental agreement may be filled out either in person, or by a phone call to our store. In some cases we can deliver the instrument to your child's school, if it within 30 miles from our store. 3. What if my child breaks something on the instrument? Answer: All of our rental instruments are insured against damage, theft, and misplacement. If repairs are needed, we will provide the student with a similar instrument for use until his/her instrument is back from repair. 1. What is the best age to begin learning an instrument? Age 5 to 75 - Piano?keyboard. The sound is at your finger tip, therefore students can concentrate on music reading. Ages 6 to 86 - Besides the above, add guitar, violin and recorder. These instruments are good for introducing the string and woodwind families. Ages 8 to 98 - All of the above, plus flute, clarinet, trumpet and snare drum, students desiring trombone or oboe should wait a year or two before starting these instruments. 2. How much time should be devoted to practicing? Answer: It varies according to one's age and level. 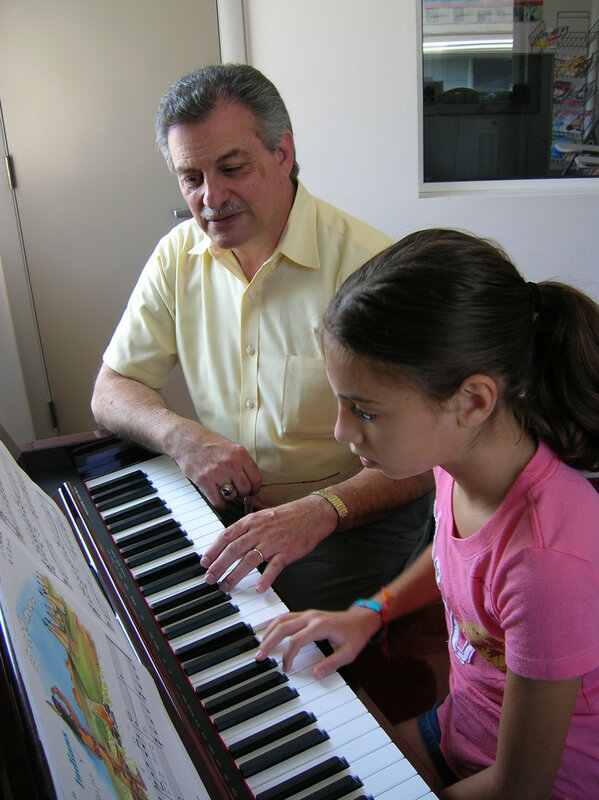 If a student receives a 1/2 hour private lesson once per week, then the general rule of thumb is a 1/2 hour per day is necessary to complete that lesson. At the beginning level, however, 15-20 minutes per day is all that may be needed. Getting into the routine of practicing is more important than the actual length of time. 3. We have a trumpet at home that we would like our child to play, but he wants to choose the flute. What should we do? Answer: Always let the child choose what he/she wants to try. Imposing ones wishes upon the student almost never works.